When suspicions are wrongly aimed at Amelia following the theft of proceeds from the local rodeo after a crash and grab, she must work with a sceptical rural detective to clear her name - and that of the man she loves. Mystery and romance abound in the new novel from the bestselling author of Crimson Dawn. Fleur McDonald has lived and worked on farms for much of her life. 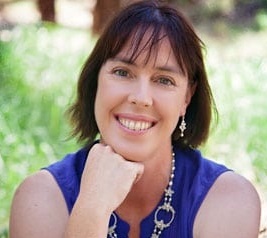 After growing up in the small town of Orroroo in South Australia, she went jillarooing, eventually co-owning an 8000-acre property in regional Western Australia. Fleur likes to write about strong women overcoming adversity, drawing inspiration from her own experiences in rural Australia. She is the best-selling author of Red Dust, Blue Skies, Purple Roads, Silver Clouds and Crimson Dawn. She has two children and a Jack Russell terrier. I previously reviewed Emerald Springs and named the author Fiona instead of Fleur. My sincere apologies to both authors. This is the third book of Fiona's that I have read and I am fast becoming a fan. Give this one a try, you will not be disappointed.